Robert J Giuffra Jr is recognised as one of the leading litigators in the US. 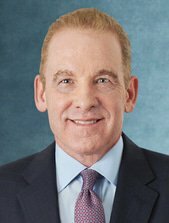 He is a member of Sullivan & Cromwell’s management committee, responsible for the litigation practice. A fellow of the American College of Trial Lawyers, Mr Giuffra has represented Fortune 500 companies in some of the highest-stakes litigations and investigations of the past two decades, including those arising from the financial crisis, Enron bankruptcy and HealthSouth accounting fraud. He is currently US National Coordinating Counsel for Volkswagen in diesel emissions litigations and investigations and helped secure landmark US regulatory and consumer settlements. He also represents Fiat Chrysler in US litigation and investigations over diesel emissions. He has represented leading Latin American companies, including Tenaris in securing the first SEC deferred prosecution agreement and Grupo Mexico in Delaware derivative litigation. He has won precedent-setting US court decisions, including limiting the extraterritorial application of US securities laws. A graduate of Princeton and Yale Law School, Mr Giuffra clerked for Chief Justice William Rehnquist of the US Supreme Court and for Judge Ralph Winter of the Second Circuit. As Chief Counsel of the US Senate Banking Committee, he was a principal drafter of the Private Securities Litigation Reform Act.